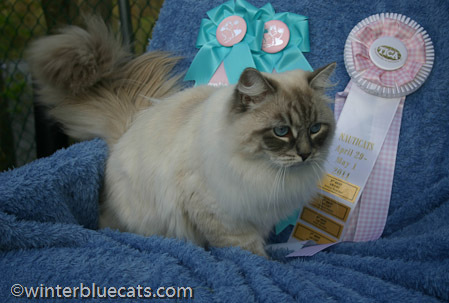 ﻿ WinterBlue Cattery - Siberian kittens for sale in CT, NY, NJ, Long Island, hypoallergenic, blue eyes, located on East Coast, West Connecticut. Welcome to Winterblue Cattery! We have 2 new litters of color-point colors ready for new home in May and June, 2019! Please, send an email if you are interested in kitten or need any info. Pictures from some of last litters are here. 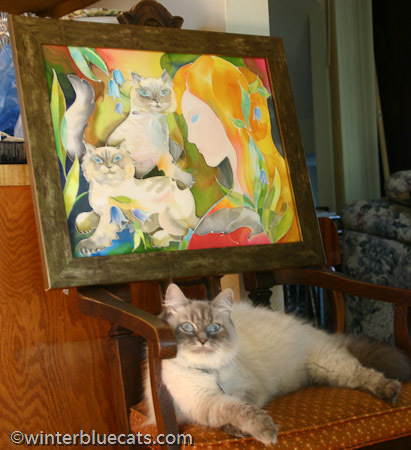 Price is $1,800 (pet, not-for-breeding price). Salomeya - Tender mother of six. 1. 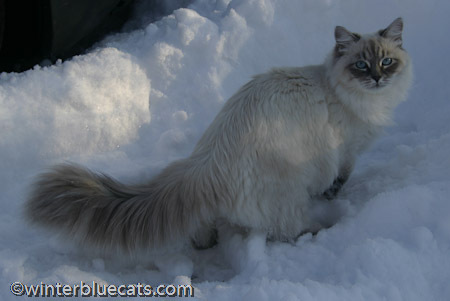 THIS SITE IS PROVIDED BY WINTERBLUE CATTERY ON AN "AS IS" AND "AS AVAILABLE" BASIS. 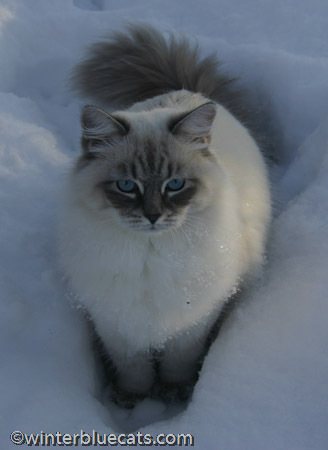 WINTERBLUE CATTERY MAKES NO WARRANTIES OF ANY KIND, EXPRESS OR IMPLIED, AS TO THE OPERATION OF THIS SITE, OR THE INFORMATION, CONTENT OR MATERIALS INCLUDED ON THIS SITE. Contact Us at admin@winterbluecats.com or at (203) 274-6946.